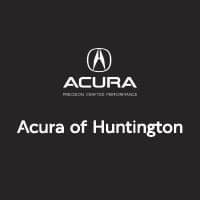 Whether going to one of the best restaurants in town or just spending the day in Huntington, the smartphone connections, AcuraWatch, and other smart technology in the 2019 Acura RDX gives you what you need to ride in style with more peace of mind. The RDX protects passengers on every trip with the AcuraWatch™ safety suite with driver assist technology. With auto braking technology, the vehicle can warn you of oncoming obstacles and apply the brakes when there’s the chance of a possible collision. Be more aware of your surroundings with this safety assist feature that alerts you when there’s a vehicle in your blind spot. Change lanes with more confidence in your knowledge of your surroundings. Maintain your constant speed without the risk of running into a vehicle you’re approaching. This system will keep you moving while staying at safe distance from other vehicles. In this Acura RDX, you get top notch Acura SUV safety including features like the Forward Collision Warning System and Adaptive Cruise Control. With everything you need and more, why would you choose another SUV like the Lexus RX? Is this the right vehicle for you? If so, view our new RDX inventory then contact us today to schedule a test drive!